Muddle the fruit in a cocktail shaker and add all of the ingredients over ice. Shake vigorously and pour into a martini glass. Garnish with a flower or a cherry. Let’s be honest—on Valentine’s Day, you might need a little more than Cupid’s arrow to get you in a romantic mood. Candlelit dinners and boxes of chocolates are sure a lot better after a cocktail or two, but V-day isn’t about margaritas or vodka sodas. Check out these three love potions that will put you in the mood for love. The next drink is a lot better than getting shot with an arrow by a little love-struck cherub. The Cupid’s Kiss is totally easy to make, and it goes exceptionally well with dessert. It features Kahlúa, which isn’t too boozy, and a sweet Maraschino cherry for good measure. If your honey likes some Kahlúa in their coffee—make one of these for yourself if you don’t want to get all caffeinated, but want to enjoy the conversation and lovey-dovey eyes. Just pour Kahlúa into a highball glass filled with ice. Add soda water. Top it with a cherry and serve. 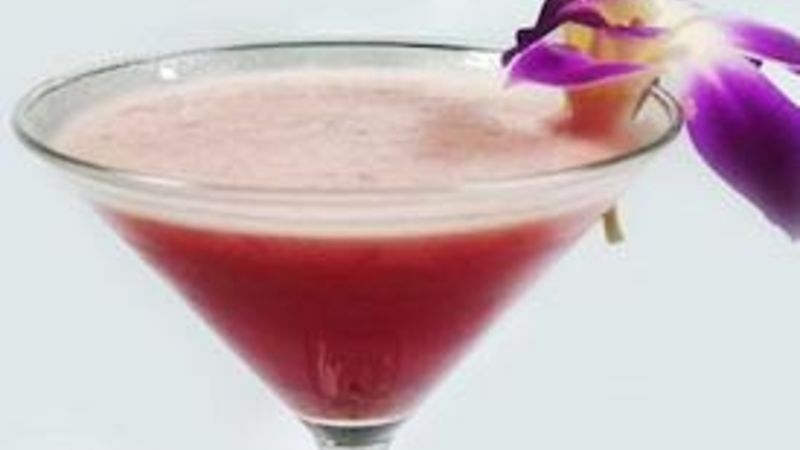 The first love potion, the Valentine’s Martini, is all about the exotic. It’s adapted from a swanky restaurant chain which combines Latin American and Japanese grub. In love, they say opposites attract, right? The drink contains the South American spirit Pisco and is spiked with the ginger liqueur Domaine de Canton. There are also some fresh raspberries for a little bit of sweetness—because what would Valentine’s Day be without a little sugar? This one is especially good if you are staying in. You get top quality without having to deal with the crowds! If there was ever a day to whip out the sparkling rosé, it’s February 14th. It’s close enough to New Year’s Eve that you’re probably sick of plain old Champagne, and the pink hue of this bubbly goes well with the romantic theme of the day. There are a lot of dry sparkling rosés on the market, but maybe you’ll want something a little sweeter to keep Cupid happy. Try hitting something like Rosa Regale from Banfi Vintners—it’s the perfect combo of savory and sweet, and at only $20 a bottle, you’ll be able to afford plenty of other presents to make your honey happy.